The much anticipated game from Cyan Worlds is here, serving as a spiritual successor to their previous adventure titles of Myst and Riven. The gameplay formula is similar to these originals with players exploring a strange alien world blended with human aspects while solving puzzles and exploring. 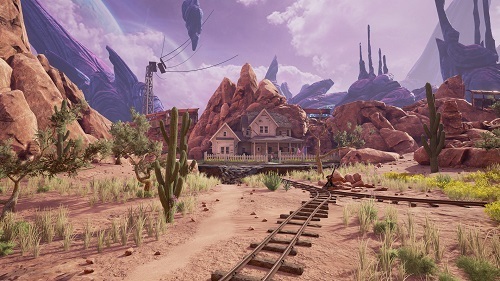 The world of Obduction offers a strange mix of human and alien by introducing bubbles of human environments (such as houses) into a very alien landscape. Players are brought here while at a park where a strange light in the sky appears, hitting the player and making them black out. When you awake players find themselves transported to an alien world within a bubble of the park that was also taken. Now that you’ve been abducted into the strange world from Earth, possibly by aliens players start on their journey to find a path home. With little to go on the game is all about exploration as players take in the environment, locate puzzles and even make key decisions which have an impact on how the game ends. Control wise players explore in first person which works in tandem with a point and click system built around nodes. A unique element of the game is being able to examine most objects within the world in a 3D enhanced view, which lets players find key details that may help in particular puzzle solving. 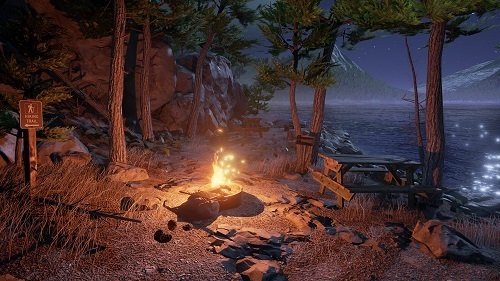 Just like the games long past of Myst and Riven the sense of wonder is recreated in Obduction with its trademark blend of human and alien, great puzzle design and intrigue in exploration. Myst fan or not you’ll be at home with Obduction, particularly in the first half of the game where it shines the brightest. From the creators of Myst and Riven. Explore a world blended with human and alien. Complete an array of puzzles and impact the ending through decisions. Inspect objects in enhanced 3D view to find secrets. For Windows, Mac and PlaySation 4.